Throughout the week, I’m a full time student and part time worker. Also, I dedicate some weekends working part time at the lone skating rink in town called Spinners. Ice cream is one of the many items you can purchase at Spinners. 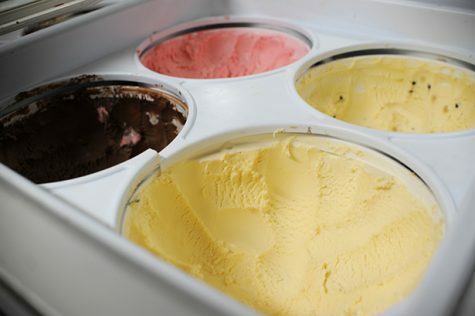 Flavors shown in the image: Strawberry, Chocolate, Vanilla and Cookies & Cream. Leading lines with the shoes made a compelling image itself. 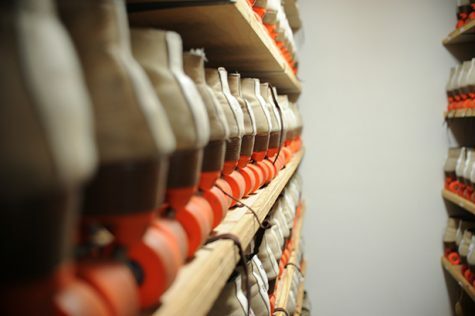 Nearing towards closing time at Spinners with a view of both sides filled with all of the shoes. 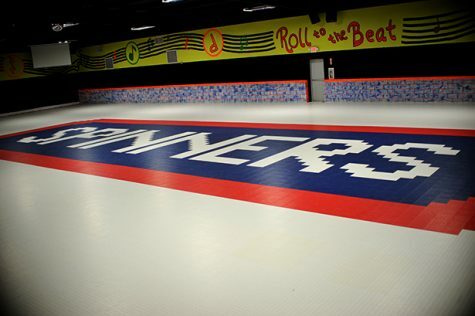 5976: Spinners logo along with the skating area and painting designs on the wall as well.